Rumblings from Nifty Galoot | Rambles and whatever tickles my fancy to blog about! It won’t be long and Valentine’s Day will be upon us. Thoughts of Love will be floating in the air. This artwork with Hearts floating in the air over a pair of Penguins is a cute representation of a couple in Love. I had fun creating this design with a Vector Graphics program (Inkscape.) Creating the penguins and getting the expressions on their faces was a good exercise in using the drawing tools. One of my oldest T-Shirt design ideas is, Visualize Whirled Peas. It’s been a fun design that has done well for me. It is a bit dated, in that I didn’t know all that much about graphics or make it so that it could be enlarged more than so much. Since opening a shop at Spreadshirt where I can sell T-Shirts that use Flock or Flex printing… I decided to update the design idea so it could be used in my Spreadshirt Store. With the limited colors available for these printing methods I ended up with this design. Quite different from the original, from way back when… The same idea, nonetheless. As you can see, there are some differences, but still the same basic design. Hopefully the updated design will do well for quite some time. Quite a change from one of my earliest design ideas to now. 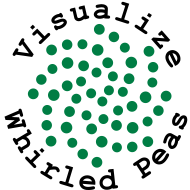 The new design was created with Inkscape, a scaleable vector drawing program. 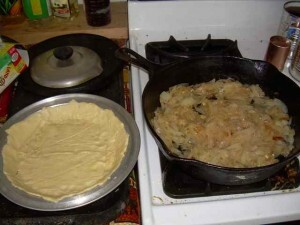 The first thing was to make the ‘Peas’ They started with a simple circle that was duplicated and resized several times to make one arm of a spiral. Next was making tiled clones of the spiral that rotated around a center point. Lots of trial and error happened here in order to get a pattern that looked halfway decent. There was still a empty center after making the tiled clones, easily fixed by duplicating a few peas and placing them there. Last was to add the text. For that it was a matter of finding the font and placing the text on a circle. A little clean up and formatting and there was a finished design for flock or flex print. Of course it really didn’t go all that quickly or smoothly at times… There was lots of trying different things and backing up to start over from the last save. Especially since I am still fairly new at using Inkscape and am still learning all the features and functions. For the design to use for digital printing it was a matter of scaling to the proper size and adding some filters to the peas and text to make them look more 3 dimensional. 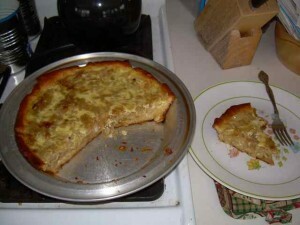 Again some trial and error to get a good result. There you have it, from start to finish it was around a day’s time. Planning and thinking… Well, that took a while more. One of the great things about Farmers Market is talking to folks about fruits and veggies. Hearing their favorite ways to cook and prepare stuff. And… Being able to let others know the many tasty ways to use fresh goodies they see at the Market. Having recipes to share has been a pleasure. 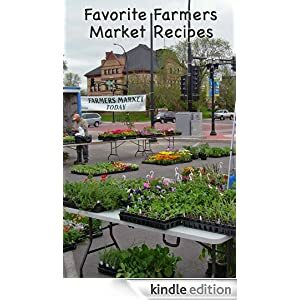 I gathered and organized a bunch of my Favorite Farmers Market Recipes into a cookbook. A Kindle version is now available at Amazon.com. Recipes go from Apples, Beans, and Cabbage to Potatoes, Tomatoes, and Zucchini, and everything in between. 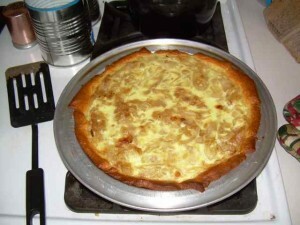 These are simple easy to make recipes you can make with fresh goodies from a Farmers Market. 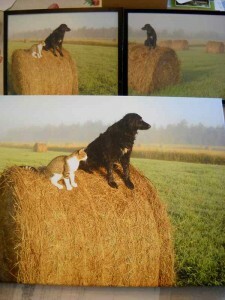 Last Summer I was lucky enough to get a decent photo of the Cat and Dog sitting on a Hay Bale looking out across the farm fields. It’s a rare day when the critters pose so nicely like they did sitting on the bale out in the Hay field. This has to be one of my favorite photographs so I picked it for a Canvas Print from Cafepress. Here’s the print fresh out of the package. It was nicely protected in the box. An inner cardboard protected and separated the foam bagged canvas from the outer box. Here is the canvas print under a couple of 8 1/2 x 11 photo prints I had printed earlier. I’m happy with he way it turned out the colors and detail came out looking like the paper prints I had. The canvas looks good even with the fairly smooth finish, possibly from the UV coating. The framing, and packaging were all done nicely. It proudly hangs on my wall. 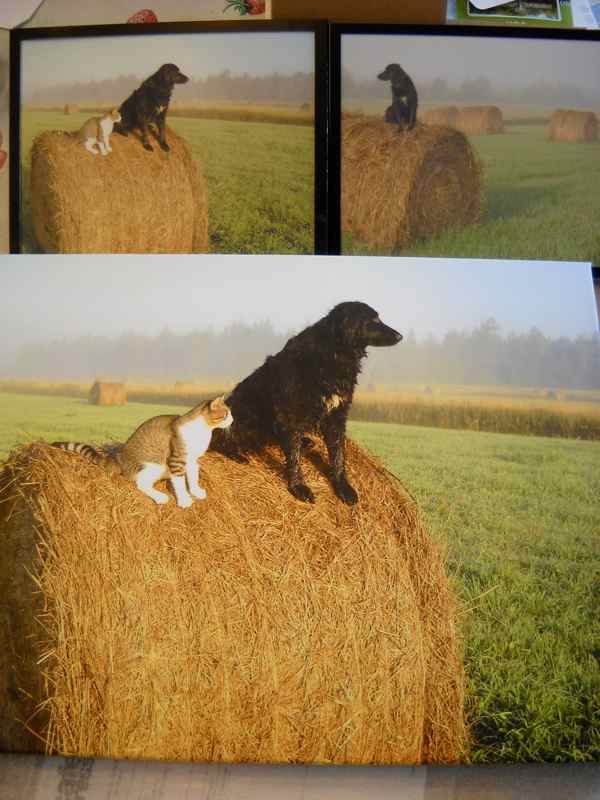 Since it turned out so well I have added Cat and Dog on Hay Bale Canvas Wall Art prints of the photo to my Photography By Kent Lorentzen Cafepress shop. 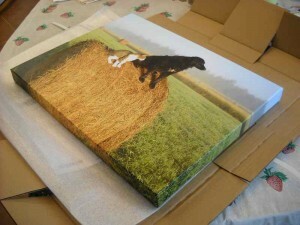 The photo is also available on many more products, such as greeting cards, framed tiles, and gifts. After turning a few more times, this should be some great compost to spread in the fall for next years market garden crops.